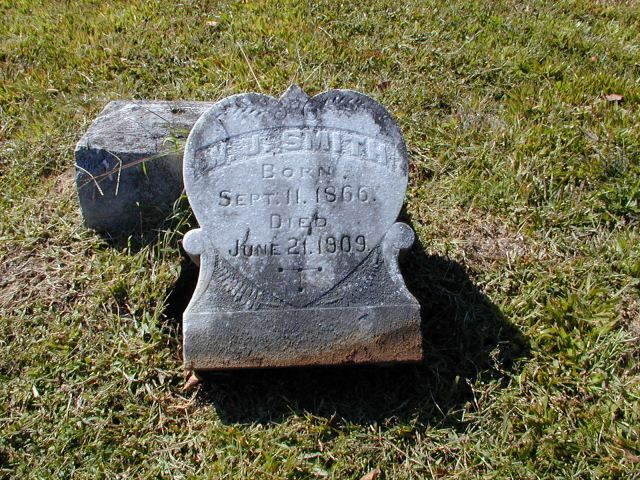 J. S. son of W. H. & E. M. Smith. Born Nov. 23, 1872. Died Apr. 14, 1895. 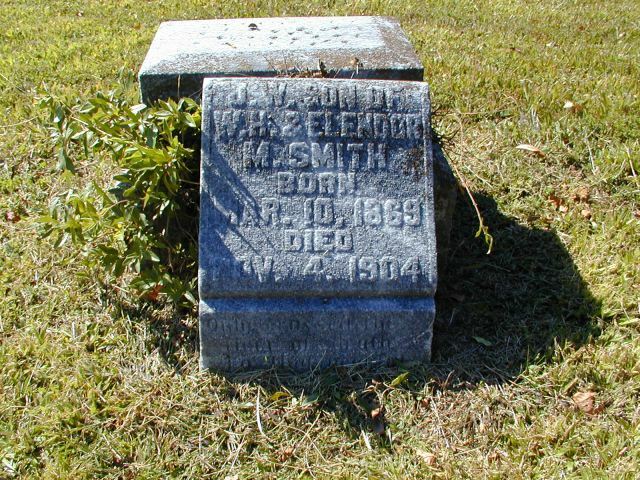 Elendor wife of W. H. Smith. 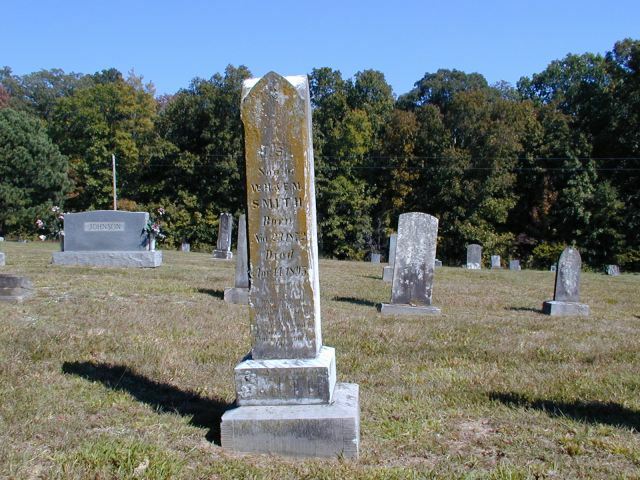 July 21, 1838. Apr. 3, 1901. W. H. Smith. 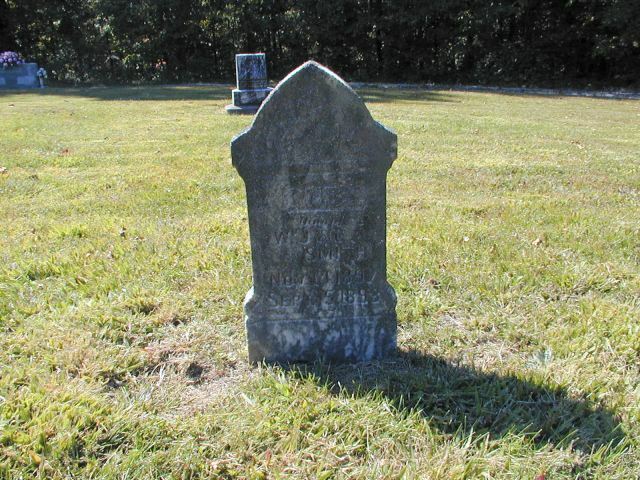 Born Jan. 8, 1832. Died Apr. 17, 1908. 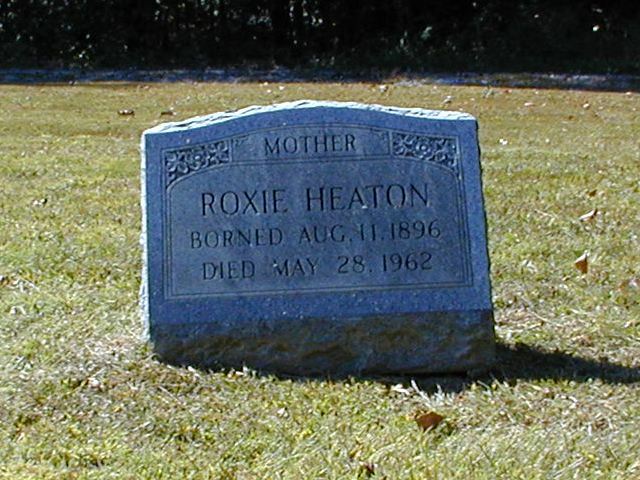 Roxie Heaton. Borned Aug. 11, 1896. Died May 23, 1962. 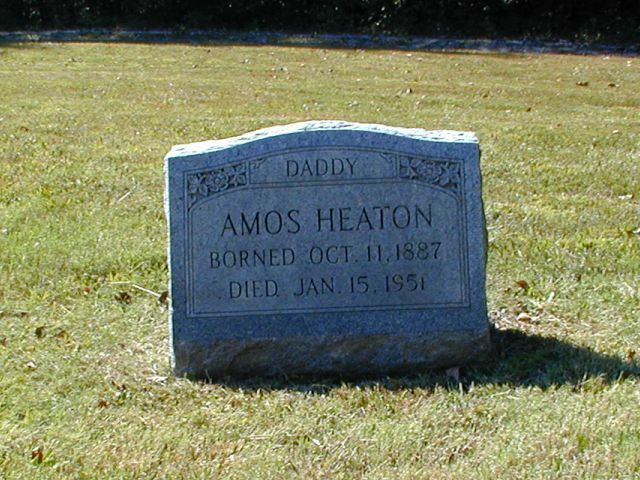 Amos Heaton. Borned Oct. 11, 1887. Died Jan. 15, 1951. W. J. Smith. Born Sept. 11, 1866. 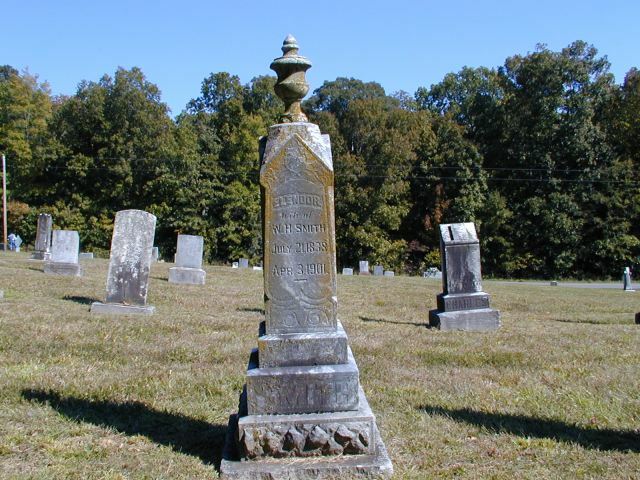 Died June 21, 1909. 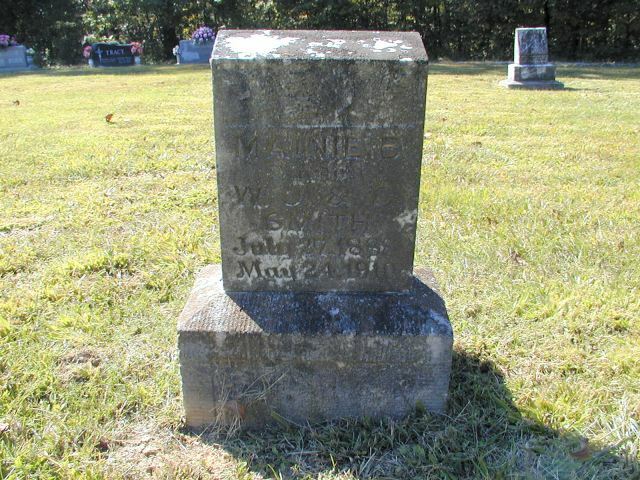 J. W. son of W. H. & Elendor M. Smith. Born Mar. 10, 1869. 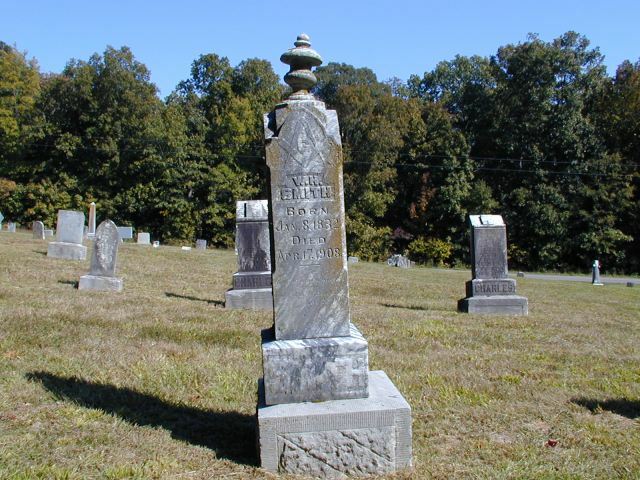 Died Nov. 4, 1904. Ruby Dau. of W. J. & C. Smith. Nov. 14, 1897. Sept. 15, 1898. Mainie B. Dau. of W. J. & C. Smith. July 27, 1888. May 24, 1910.